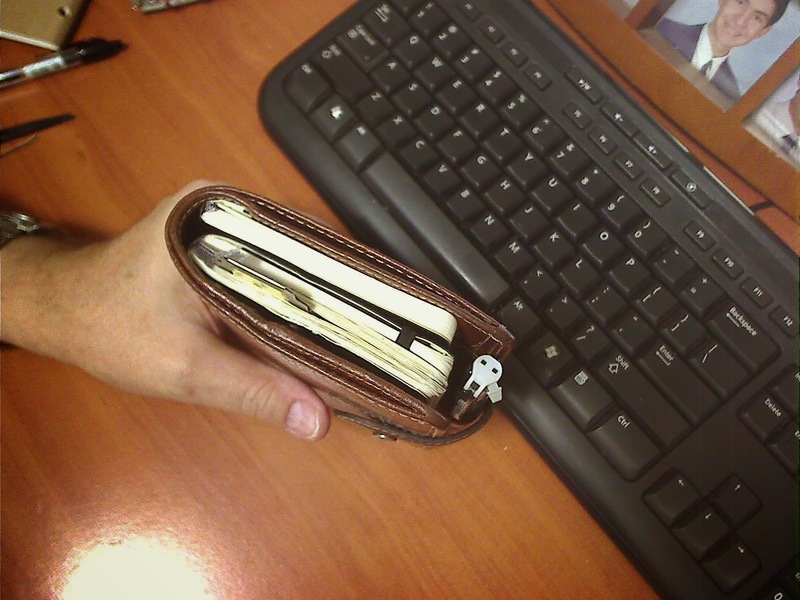 KENT FROM OZ: I Removed the Rings from my Pocket Malden Filofax - It's True!!! 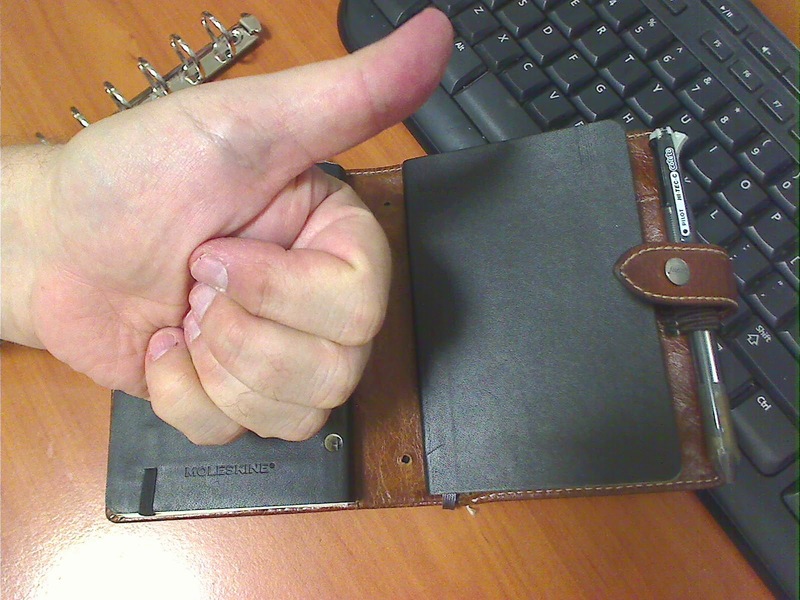 I Removed the Rings from my Pocket Malden Filofax - It's True!!! 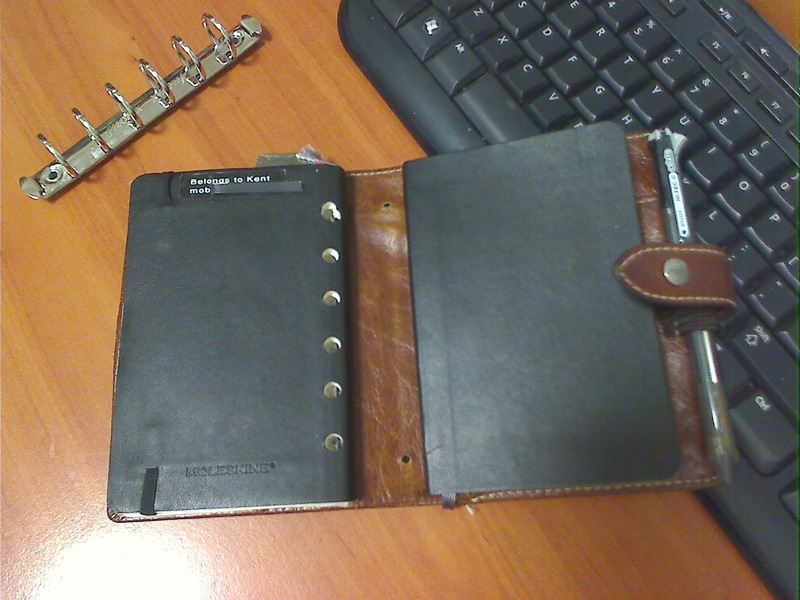 I had the holes in the Moleskine notebooks drilled at Officeworks. They tried to charge me $1 a hole but I bargained them down to $2 for the six. I did it to fit the Moleskine into the rings - but found that I loved the notebook but wasn't keen to keep having holes drilled each time I wanted to add a new notebook. Hence the ringectomy. But I will keep the 'holed' notebooks for this year as I have already started writing in the notebook and there's too much to reproduce. I'm finding it difficult to do the first bit where you use the electric drill... I'm not sure what I'm going for or if I'm using the right direction of spin. Do you have any tips please Kent? Thanks for the question. Keep the drill bit on an angle and apply a little pressure so the drill grates away at the edge of the ring stud. But be very care and take your time. 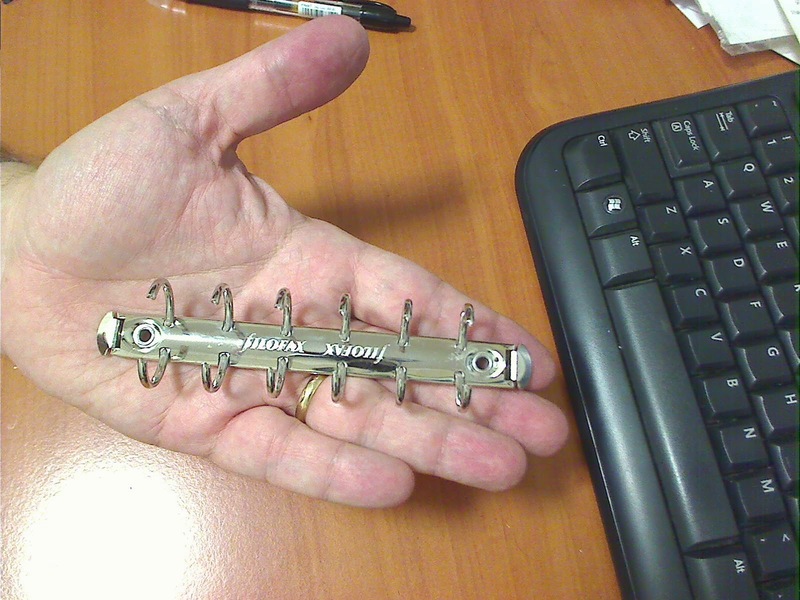 You don't want to slip or wreck the binder. And make sure you use eye protection as there are small metal bits flying off in the process. Good luck. PS I still love my ringless set up.